I was a student of 10th grade at the Municipal High School Larkana in 1967, when a major event in Pakistan’s political history left a mark on the country – Zulfiqar Ali Bhutto (ZAB) formed the Pakistan Peoples Party (PPP). 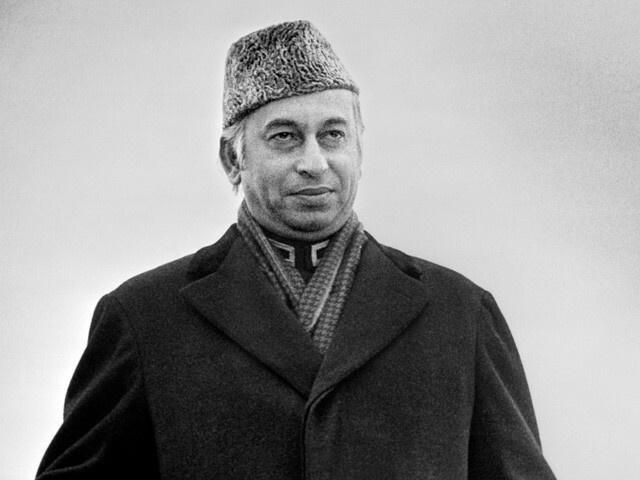 By then, Bhutto had already emerged as a key player in Pakistani politics. Fifty years of PPP has evoked my memories of him. It was 1962, I was 10-years-old and delivering a speech at a school function where Bhutto was invited as the chief guest. Elated at my oratory, Bhutto rose from his seat, approached the rostrum, patted my back and congratulated me. The image was captured by Ikramuddin of Sindh Photo Studio Larkana, one of my most prized possessions. Despite many transfers and postings home and abroad as a naval officer, I had possessively guarded this photo which always adorned my office table. Recently, my granddaughter inquired about who the man in the picture with me was. I told her that he was the former president and prime minister of Pakistan. “Like Donald Trump,” she replied tersely. I couldn’t help but agree, since back in his heydays, he was one of the most prolific and flamboyant personalities in the world. Though his era was marked by contradictions, high handedness and fascistic tendencies, it has left an indelible mark on Pakistan’s political scene. No Pakistani politicians before and after him will ever achieve such a love-hate relationship with the masses. In 1968, when I was a student at Government College Larkana, my friends and I were standing at the main entrance when a white Jeep with the number plate LA-128 and an American Friendship logo embossed on it, approached the gates. To our great surprise and amazement, the man behind the wheel was none other than Bhutto, who had come to meet his Bridge partner, our erstwhile principal, Professor Mohammad Ali Khan. Without a security detail at his disposal, Bhutto mingled with the students and later proceeded to the principal’s office. His persona was quite familiar in Larkana as he visited his ancestral home quiet frequently. 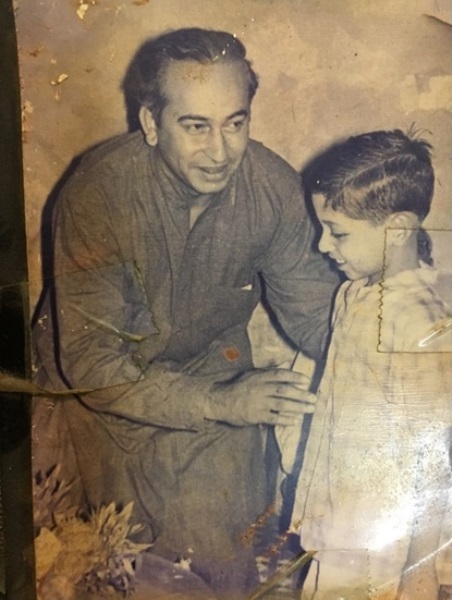 On one such occasion, during the General Election of 1970, Bhutto, along with Dr Ashraf Abbasi who was a close friend of my mother’s, visited our house Lakhpat Bhawan one evening for the purpose of securing votes of influential, educated families in his hometown. Delighted to see him in our house, we all shook hands as he was seated in our drawing room. By virtue of observing the founding of PPP, I have lived through one of the most crucial phases in Pakistan’s political history. On a sunny winter morning in 1971, on my way to college in Larkana, as I reached Al-Murtaza (Bhutto’s residence), doors flung open and both Bhutto and General Yahya Khan were getting ready to alight vehicles for a hunting expedition. The two waved at the crowd gathered outside to catch a glimpse of him. Next morning, the newspapers carried the same images and news reported that it was during their meeting that they decided the fate of East Pakistan. Such was the era of Bhutto, one that will remain marred in controversy and infamy. I vividly remember the Eid after the Fall of Dhaka and as had been the custom for many years, Bhutto would conduct an “Open Kutchery” at his ancestral town, Naudero. It was a typical sweltering summer day in Larkana even at 6am when my friends and I boarded a jam-packed wagon that would take us there. Assemblage of ministers and what-nots of public and private spheres were lined up for the most powerful man in the land. Scores of people with applications in their hands awaited their messiah. Barely 19-years-old and filled with youthful energy, I slipped closer to the crowd surrounding Bhutto. Suddenly, I was jolted by people besides me since Bhutto was addressing me. He smiled back and moved on. I could hear the crowd calling me an imbecile for not asking for a job or any other perk, a common plea that was abided by on the orders of the people’s man, Bhutto. I was posted at the Pakistan Naval Academy when we heard the news of Bhutto’s hanging. An unceremonious end to a glorious life well spent. Perhaps due to martial law or may be due to betrayal by senior party members, Bhutto went to his grave in eerie silence. In my opinion, Bhutto resembles Che Guevara. Politically, Guevara has become less relevant in Cuba as Bhutto has in Pakistan. However, they both continue to exercise subtle but real influence on their respective political cultures, not as sources of specific political or economic proposals but as cultural models of sacrifice and idealism. Bhutto’s stature has been diminished to the extent that his portraits are being adorned with Faryal Talpur and Asif Ali Zardari. His appeal to the party has become limited to arousing voters with the slogan ‘Jeay Bhutto’, considered as a pragmatic approach to garner votes but nothing beyond that. PPP has survived against all odds, tribulations and tragedies, and is likely to survive. The foundation of PPP gravitated around defiance against the military dictatorship. Bhutto stood against Ayub Khan and his daughter put up resistance to Ziaul Haq’s regime and coaxed Pervez Musharraf into announcing elections. The current PPP leadership, however, has consigned itself to the politics of graves. The slogan of ‘Roti, Kapra or Makaan’ (bread, clothes, house) still holds relevance even in today’s society, but lack of charismatic and visionary leadership in the party makes it unlikely to pay dividends. Or perhaps PPP requires another military coup to jump start their decaying politics. Bhutto would have been 90-years-old today, and on account of his birthday, we wish, and hope, to see a reflection of his politics and charisma in his grandson, Bilawal Bhutto Zardari’s vision for PPP.